The origins of lacrosse in Ireland lie with the establishment of the Ards Lacrosse Club in Newtownards, Co. Down (just outside Belfast) in 1872. Four years later, William George Beers, the man credited with modernising and codifying the game in his native Canada, led a trip across the Atlantic that included members of the Montreal Lacrosse Club as well as a team of Caughnawaga Indians. The tour started in Belfast with a number of exhibition games by these teams before moving on to England where, amongst other games, the teams put on an exhibition for the Queen at Windsor Castle. 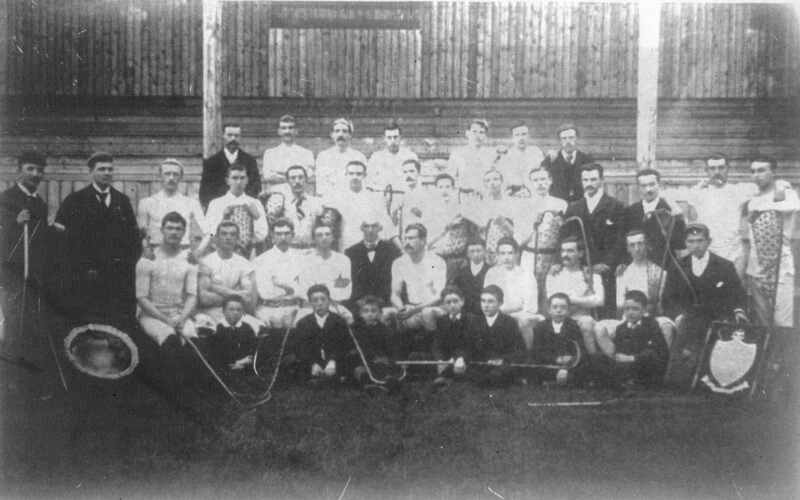 A number of similar trips followed as the game developed further in Ireland, and an Irish Lacrosse Union was formed in 1879 to support this development and to manage the new Irish Men’s National Lacrosse Team. In 1886, the Irish Lacrosse Union accepted one of many invitations to travel to Canada and the United States. This trip was lead by John Sinclair and Hugh C. Kelly (of Belfast and Ballymacarrett, Co. Down respectively), the latter of whom was captain of the Irish team at the time, a pioneer of the game in Ireland, and Deputy Sheriff of the County Down. The trip lasted nearly two months and included many games on the East coast of the USA and in Canada. Men’s lacrosse flourished in Ireland at the end of the 19th century and into the beginning of the 20th. 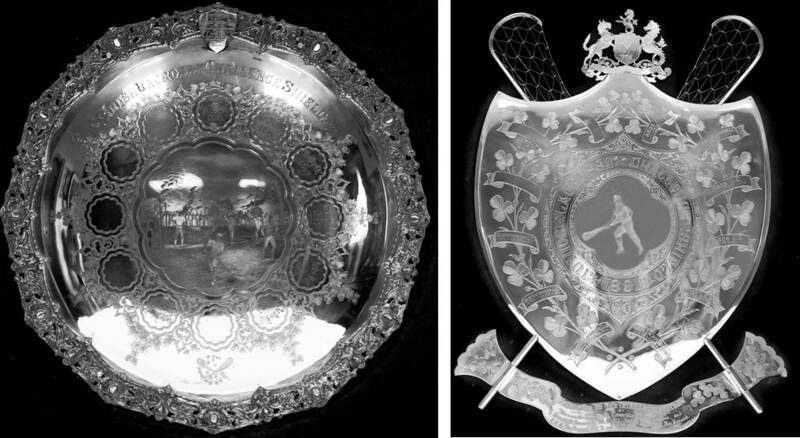 In these years, two trophies were awarded for lacrosse in Ireland – the Irish Championship Flag and the Irish Challenge Shield – and these trophies still exist and are held in Newtownards, the erstwhile spiritual home of lacrosse in Ireland as the first town to have established a lacrosse club in 1872. 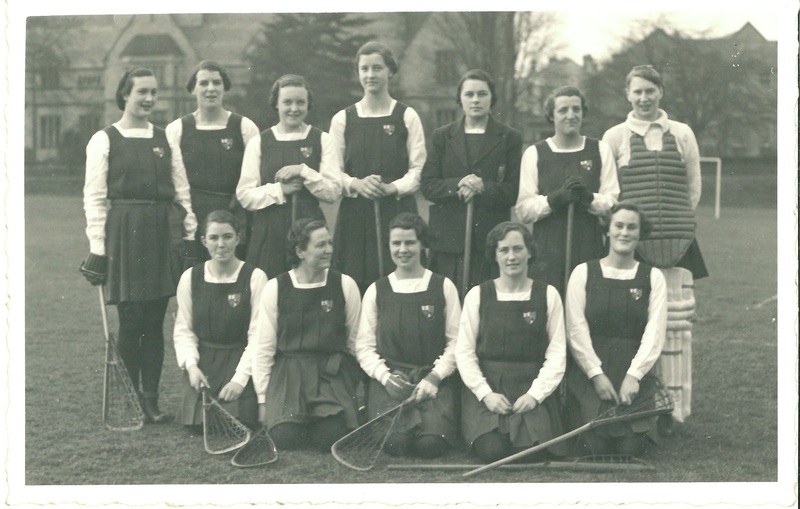 Women’s lacrosse emerged in Ireland in the 1920s. Richmond Lodge, which was an all-girls school in Belfast, began playing the game at least as early as 1922. On Monday, the 29th of November 1926, at 2.45pm, at Trinity Hall in Rathmines in Dublin, the (suitably named) Dublin Pioneers ladies lacrosse team held its first practice. Notification of this was sent by Dorothy Griffith, Honorary Secretary of the club, to a Miss Leonard. By the 1930s, the Dublin Pioneers and the Belfast Ladies Lacrosse Club (founded by the alumni of Richmond Lodge) were the only two senior women’s club lacrosse teams. However, they were joined by girls’ schools including Richmond Lodge in Belfast and Manor House School in Co. Armagh, and other schools based around the greater Dublin area – the French School in Bray (Co. Wicklow), the Hillcourt School in Glenageary (Co. Dublin), Alexandra College in Milltown (Dublin), the Hall School in Monkstown (Co. Dublin) and Glengara Park in Dun Laoghaire (Co. Dublin). In 1930, the Irish Ladies Lacrosse Association was founded, as was the first ever Irish Women’s National Lacrosse Team which played its first competitive match in a tournament in April of that year at Merton Abbey (southwest London) which featured Ireland, Scotland, Wales and England. 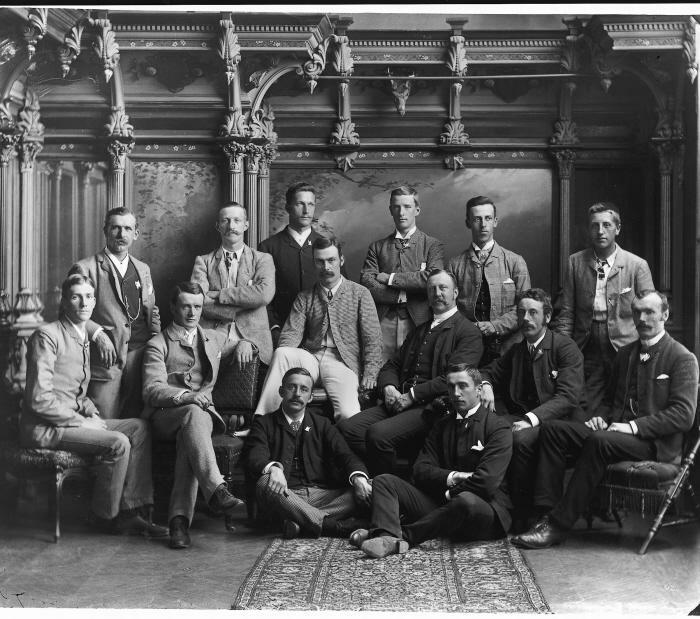 Men’s lacrosse in Ireland emerged in 1872 and died out in the early 1900s, with women’s lacrosse then emerging in the 1920s and then subsequently dying out around 1970. The Irish Men’s National Lacrosse Team was (re-)formed to compete in the 2001 European Championships tournament which took place in Penarth, Wales from 15-21 July 2001. The men’s senior team has continued to participate in major tournaments from that time. An Irish Men’s Indoor National Lacrosse Team was added in 2007 and an Irish Men’s Under-19 National Lacrosse Team was added in 2016. In 2005, the Irish Women’s National Lacrosse Team was re-established and entered in the 2005 European Newcomers Tournament in Copenhagen, Denmark, finishing in 1st place, a remarkable feat for a team of players of whom only three had any previous lacrosse playing experience. The women’s senior team has likewise continued to participate in major tournaments since that time. In 2019, an Irish Women’s Under-19 National Lacrosse Team was formed. In the 2009-2010 season the Irish Lacrosse League (ILL) was established. This league features men’s and women’s teams such as the Dublin Lacrosse Club, University College Dublin (UCD), National University of Ireland (NUI) Galway, University College Cork (UCC) and Queen’s University Belfast, with new teams emerging in various parts of the country. A new women’s Schools Cup will take place in March 2019, and concerted efforts are now being directed towards introducing lacrosse at youth level. i am researching the life of GEORGE LOMAS BIRCH BRADSHAW, born 1882, who played lacrosse for All Ireland in around 1903 as well as studying at Queen’s University, for a memoir. Any information on him and the matches he played in, photographs or anything else, or even the contact details of a historian or archivist who might be able to help would be extremely helpful. I have found some material that may relate to George Bradshaw. Feel free to email me at mkennedy@irelandlacrosse.ie for further details. When will Ireland develop a women’s / girls indoor box lacrosse league? Contact Sean Gibson, Indoor Lacrosse Development Director, at sgibson@irelandlacrosse.ie for more information about indoor/box lacrosse. Wow – thanks for getting in contact with us Jennifer, we would love to hear more from you about your experience at Richmond Lodge! Will send you a private message! Would love to get connected! We just pm’d you. Hi. We are relocating to Ireland this summer . Are there any clubs where a 14 y old girl could play. Hi – just sent you a private message! Hi I really want to start playing lacrosse anywhere for a 14 y o girl to play? Is there any history of Irish women’s lacrosse between 1961 and 1964? I played on the Irish team and it seems as though there is no knowledge of this. 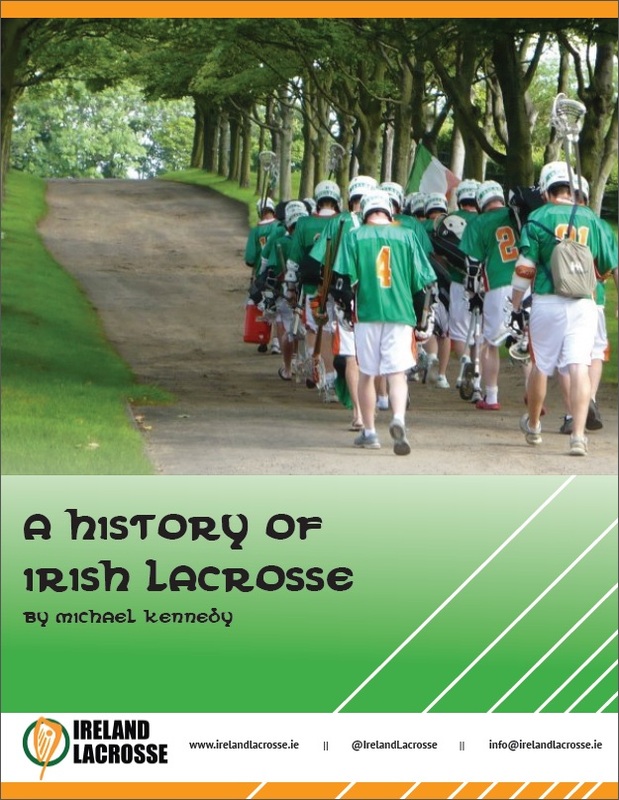 Please contact Michael – MKennedy@irelandlacrosse.ie – he is working on getting a full history together! I am wondering if anyone knows anything about Jebb Kerr, from Greystones, who played Lacrosse for Ireland (women’s team) probably in 1920s and 1930s? Hi! I was born in Ireland in 2004, and not live in the United States. I love playing lacrosse and would love to get a chance to play with some Irish girls. Do you play any tournaments in the United States? Hi, I was born in Ireland in 2004 and now live in the US, I have always wanted a chance to play with some other Irish girls! Do you play any tournaments in the United States? My mother Dorothy Dowie (nee Boyle in 1931) played lacrosse for Richmond Lodge, Belfast Ladies & Ireland. She is still with us and, doing a house clear-out, I have come across a pile of her memorabilia; besides photos and the odd match programme, she also has a handwritten book (a very well-written, detailed and comprehensive scrapbook) of Belfast Ladies from their inception through to 1938. It contains team photos (with names), match reports, newspaper cuttings etc etc. Many of the articles are of the Ireland team, as it involved Belfast Ladies players. My mother can’t have joined Belfast ladies until the late forties, thus the book contains no mention of her, so how she ended up with it I have no idea… and nor does she! Historical items such as this seem to be your thing – does this interest you? We are very interested in this and have emailed you about it! Send an email to info@irelandlacrosse.ie and we will get it sorted! It was also played at Ling Physical Education College, in Dublin.